Nokia executives revealed today that the company will soon begin veering toward making cheaper phones than ever before, with "specific support" from Microsoft. 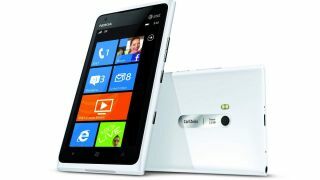 The new phones will be significantly cheaper than the Lumia 610 -- currently Nokia's most affordable phone. With more affordable Windows phones, Nokia will be able to more effectively compete with Android devices, which are inherently cheap due to lower costs for Android manufacturers. Microsoft will enable Nokia to hit lower price points than Nokia previously planned, execs said on a call today. Specific dates for the cheaper devices to start appearing were not spelled out, but Nokia said that "important catalyst dates" for Microsoft's Windows Phone would be instrumental to the lower prices hitting the market. That likely refers to the upcoming release of Windows Phone Apollo, or Windows Phone 8, which could be officially revealed any day now. Can Nokia's Windows Phones compete? Android and iOS already take up the lion's share of the market, but lowering the prices of Windows Phones could help Nokia carve out a larger niche, particularly in countries outside the U.S., Recon Analytics analyst Roger Entner told TechRadar today. "It's going to be able to better compete," he said. "In the U.S., where we have handset subsidization from carriers, it helps Nokia become a little more profitable, as you can't go really much lower than zero - which you know, the Lumia 900 was for a while." "But it will help them dramatically in Europe and Africa and Asia, where people are actually paying retail for their phone," he continued. "Nokia really tied its fate to the success of Microsoft," Entner added. "The U.S. carriers really would like to see a third operating system, and Microsoft's OS has the best chance of being that. It's just that the consumers have to agree." The move to lower prices for Windows Phones was announced as part of a larger shift in strategy for Nokia, who sent out a press release today outlining several key changes. Yesterday's rumor that Nokia was once again trying to sell their "luxury phone" brand Vertu turned out to be true, as the brand will indeed be purchased by private equity group EQT by the second half of 2012. The details of the sale are "confidential," but Nokia confirmed they'll retain a 10 percent share in Vertu. As part of the same strategy shakeup, Nokia will be cutting 10,000 jobs by the end of 2013, including those lost when factories in Finland, German and Canada shut down, and three executives will be stepping down from the company's Leadership Team. "We are increasing our focus on the products and services that our consumers value most while continuing to invest in the innovation that has always defined Nokia," Nokia president and CEO Stephen Elop said in the press release. "We intend to pursue an even more focused effort on Lumia, continued innovation around our feature phones, while placing increased emphasis on our location-based services. However, we must re-shape our operating model and ensure that we create a structure that can support our competitive ambitions."